Are you in need of some cute kitchen organization pieces? How about the perfect accent piece to finish up designing your coffee table. Well have you looked at World Market? This is one of my most favorite stores to not only shop at but just to walk through. They have some of the cutest accessories you have ever seen; and I LOVE their accent furniture. The best part is it’s super affordable. Plus they have so many different styles and colors it’s like shopping at all your favorite home decor stores at once! Think Pottery Barn meets Crate & Barrel then they go to lunch with their mutual friend Target. Anyways, if you haven’t had the chance to shop at World Market, or even if you have, here’s your chance to check out what they offer and buy a few things… FOR FREE!!! Now through Thursday, August 14th I am doing a Round Robin Giveaway on Instagram with some super awesome bloggers. 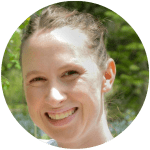 Not only do you have a chance to win some really great prizes (over twenty five chances to win) but you also get to see behind the scenes of some fantastic blogs and their creators. All you have to do is follow me on Instagram @tastefullyfrugalblog, like the picture below and tell me what your favorite pizza toppings are. Simple enough right?! 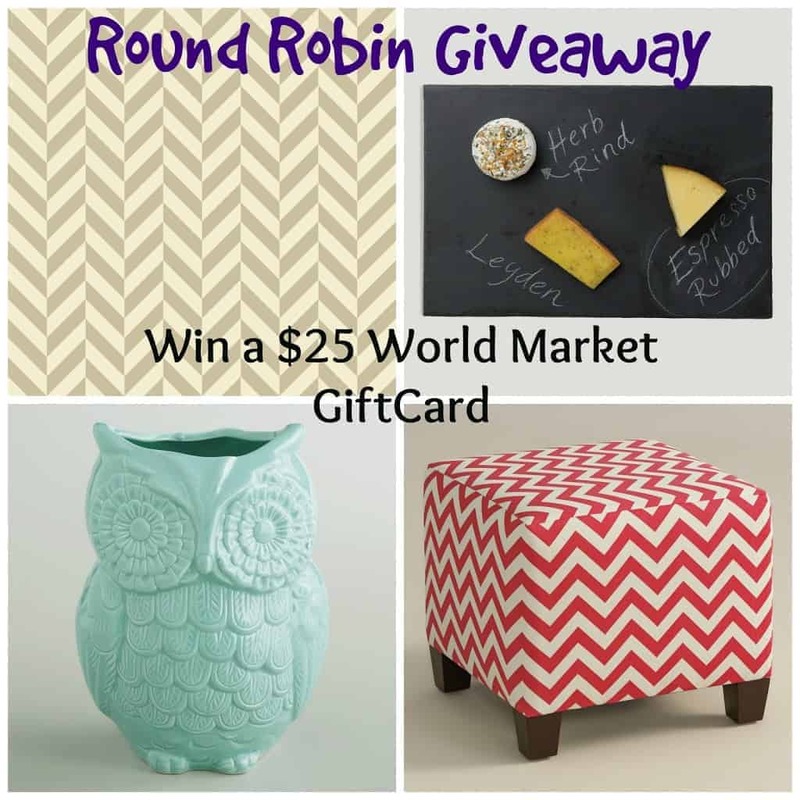 Then on Friday I will randomly pick one of you to win a $25 World Market Gift Card… How cool is that?! All that I ask is that you follow Melinda @toastersareflying (She’s giving away a Little Tikes Bubble Leaf Blowerand enter her giveaway as well. If you win I would love to see what you decided to spoil yourself with! And that’s just a few of the great prizes being given away! *** Just because I want YOU to win I will give you a bonus entry… Just use the hashtag #fridaypieday in your comment! This sounds like a lot of fun. I am sure it will be a super success. Thank you so much Lady! So far it’s been great! Thanks Karel! Make sure to follow me on Instagram and comment on the picture there too to get the first entry! This is a fun giveaway Sydney! And we were just at World Market for the first time this month…. I was like our children at the dollar store! Lol I’m going to go enter! Thanks Kendra! It is like a mom’s Toys R Us isn’t it?! I hope you win! #fridaypieday woot woot woot toot toot toot ! I am so excited ! I just love World Market! So many neat things!